I have a Mission this week to do research on recycling smartphones. I currently have 3 old cell phones that I'm not using. 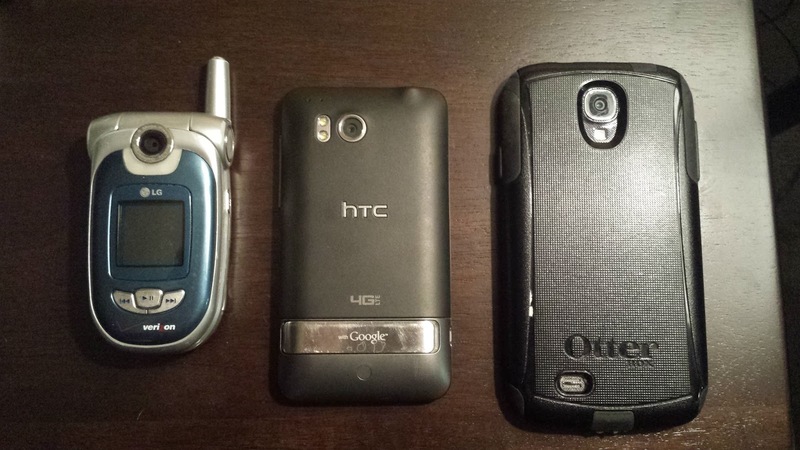 The first one is a flip phone that I love dearly. It was my first ever cell phone, and to be honest, some days I wish I could still use it. I've really never been as happy with a cell phone compared to as I was with my first one. The second old phone I have is my first smart phone. The third phone is a Samsung Galaxy S4. I have not decided yet if I want to recycle my first cell phone. It has sentimental value for me, and this goes against being a minimalist. My only justification for keeping it around is that it doesn't take up that much space. My first smart phone I want to recycle, and I need to make sure all of my pictures/important data is off of it. For the Galaxy, I am looking at options on how to turn it into a cheap secondary phone. I did a google search on recycling smartphones and it led me to the Environmental Protection Agency (EPA) website. From there, I found another website that lets you search by zip code where you can recycle electronics. After inputting my zip code, one of the options was the county environmental services office. The county has a super long PDF file with information on disposing waste and items that can be recycled. The PDF said I can take old phones to a few different places. It mentioned the county recycling center, but it says there is a fee to recycle electronics. I assume the fee is for big electronics, and I would be surprised if they charged a fee for cell phones, but you never know. Other options are to take it back to Verizon for recycling, or take it to a Best Buy, Staples, or Office Depot. I will most likely take my old smart phone back to Verizon and attempt to recycle it from there. First I will need to make sure I have all of my files/pictures off of it, and then do a factory reset.